"Corporate Storymaking and the Art of the Story"
Frank O Smith’s presentation, “Corporate Storymaking and the Art of Story,” is a distillation of his 20+ years experience consulting with corporations, melded with a synthesis of his two-day writing workshop, “The Art of Story.” The arc of the presentation starts with defining what “story” is – and progresses to answering the question: “how do you know if your story is great?” In the process, Frank will illustrate the five basic elements of storycraft and the six fundamental rules of storymaking, using the movie “The Wizard of Oz” to illuminate the first, and three case stories from his career to illustrate the latter. Frank will challenge us to link storytelling to sustainability- for our own businesses, for our clients, for ACE and for the State. Great questions serve many functions. In addition to helping gain needed information and understanding, they cement relationships, let colleagues, customers, clients, and others know that we care about them, help these people understand our view of a particular situation or issue. Great questions create engagement, trust, and energy. What makes a "great" question? Great questions are not argumentative, don't assert power or try to make a speaker wrong, are more about the issue than about the questioner. But what more can we say, and how can we learn which questions might be most productive? Come to this roundtable . . . This will be an active session -- not a lecture. Come with your curiosity, energy and passion. Bring questions, concerns, and stories. And -- if you can -- come with memories of some of the great questions that have helped you at home, at work, anywhere. 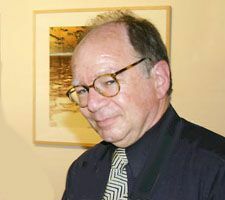 Arthur Fink is a consultant helping nonprofit boards with mission, focus, governance, and conflict; a coach dealing with communication, management, and creativity; and a photographer well known for his dance images. He is often praised for his cogent questions, and is working on a book entitled, "Asking Great Questions". Arthur was for many years a usability consultant and user interface designer -- which meant he was asking questions of users. He was also host of a radio interview program, and has had many other opportunities to, practice his question asking skills. Arthur's business, Insight and Clarity provides consulting for both profit and nonprofit organizations -- on strategy, mission, decision making, conflict, creativity and communication; meeting facilitation and planning; and coaching on leadership, creativity, and making difference. Registrations are required by May 14, 2013. If you want to be included on the registration list at the meeting then you need to register by the due date.